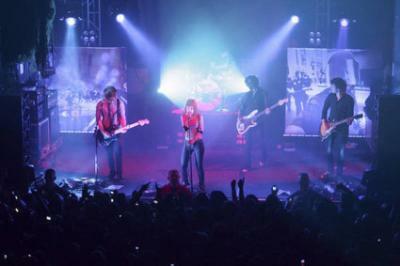 I'm posting pictures, interviews, videos, information, and other stuff related to Paramore. I'm not a member of Paramore. I'm a huge fan posting their singles and some stuff. If you want to put those on your blog, go ahead! So are you watching me? Cause I won't stop holding on. but you don't know what love is. These scars, they will not fade away. She's got a body like an hourglass, it's ticking like a clock. But I got it when I want it now. Cause I got it when I want it now. I'm sorry honey, but I passed it up, now look this way. Cause I got it when I want it right now. Don't you know that we're all alone now? Don't you know, baby, we're all alone now?